of his abilities, the XF fanfic writers are. For the occasion he drove a white ’89 Chevy. kill first. She was just to draw attention. Benefit. And he knew he would kill her. grimaced and turned around quickly. He grabbed her wrist to keep her in the room. strangle her and have it over with yet. Carefully, he placed her on the couch. come, using the code to seal off the house. were both getting over last week’s disaster. on his desk, and hurried to Skinner’s office. back, she knew she had just made his day. door to the small reception area, “No thanks. first met Frank Smythe during a briefing. a difficult run of cases. Scully reached for the file and opened it. it could be identified instantly as a corpse. down. Everyone is in uproar because of this. People are talking political bombing again. “With a bomb?” Mulder asked surprised. 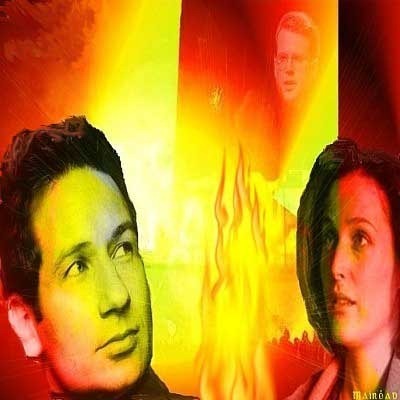 us with this case,” Scully remarked. officially not an FBI matter … yet. just because the right person was involved. “Someone you know?” Scully asked. “Oh, yeah,” Mulder said with a grin and a nod. “Jack was a profiler, we started out together. “He is?” Mulder asked even more surprised. on this case,” Mulder said, shaking his head. Bureau the night before they had confirmed it. recruited, they had been upset. Jack had been very good at his job. knew she liked him too. stepped forward and embraced his old friend. Jack accepted the embrace and patted Mulder on the back. grinned, tucking the tickets in his pocket. leaned comfortably at the edge of the desk. Mulder said. “Of course I would have come. “That sounds serious enough,” Mulder said. “Actually they’re already expecting us. Mulder who found his friend had changed. could change his life for the better. Campbell blinked and shook his head slightly. to solve a case as soon as possible. damage done to the house and victim. a huge resentment toward her. “Wait a minute,” Scully said, “he knew her? noon. In two hours their flight would leave. next victim. No, Susannah had chosen him. last person on her mind before passing out? He knew the man by name and in person. Wells lived in luxury but only to an extent. caught being on the wrong floor. else that would be there was out of luck. Campbell, glancing apologetically at Scully. short flight, the agent spoke. have the bombing. The evidence is there. Walter,” he said, shaking Skinner’s hand. service if they needed any help. Everyone took a seat at the conference table. extracted human livers in order to hibernate. I’m going to leave you to your own devices. others. “I suggest that we start working. Jack glanced at his watch. It was after five. I’m only here on an administrative basis. “We understand, sir,” Mulder said. mess when the agents got there. it’s too dangerous to hang around here. completely ruined with a crushing bomb. asked, following in Jack’s footsteps. week and spent a whole day at the house. 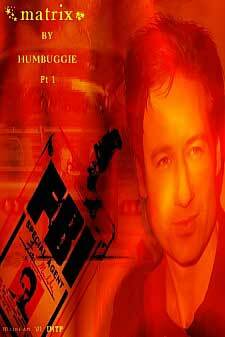 “Was the garage secured?” Mulder asked. “Was there a silent alarm?” Scully asked. Right now anything was still possible. to say it before it was gone out of his mind. leading to another potential victim. and knew they would want to get answers soon. sophisticated technology to get the job done. He used the old tricks, like hobbyists did. Wells didn’t know whom he was letting in. “Of course you do, Mr. Wells,” he said. coming here, hoping you would be by yourself. “What are you talking about?” Stephen asked. “Susannah?” Stephen Wells laughed bitterly. “I’m not a reporter,” he answered calmly. muttered as his face turned red in anger. and do this to me? We had a good thing going. putting his hands up his head as he shrieked. that only the dim nightlights remained on. to save him, he would still die. left the building in utter darkness. fingers reached for the phone, picking it up. saw the wires. And then nothing anymore. the office building had gone to hell. the unconscious body of the security guard. dressed in evening gowns and tuxedos. Chief of Police whom he had met twice. “Thank you,” Jack said as they walked in. a man in his late forties awaited both men. tell David that I’m going to be running late. the door. The mayor didn’t offer them coffee. men who were supposed to solve it soon. will not appreciate the remark you just made. left as well, shutting the door behind him. “Of course not,” Mulder said, calming down. everyone there wants to get you fired. Finally Jack relaxed and looked up. “You had a vision, didn’t you?” Mulder asked. At the same time Jack’s cell phone went off. autopsy. She still had some work to do. think that we somehow are on the same level. work at all, Mulder. It’s just a nuisance. some good with that psychic ability of yours. You have the power to help people, Jack. had wanted his victim to pick up the phone. me up here. I’ll make the profile tonight. towards them, concentrating on the scene. to be the last place he wanted to be. remained in the room, staring at the debris. “You just saved me a long walk up,” she said. Skinner and put together what we’ve got. imagine. Her face was practically blown away. pockets, turning his back towards the agents. whether or not she should be angry with him. when was she going to find out? look. She knew better than to argue with him. but Mulder knew he would see her again that night. a hungry kiss. They weren’t in the mood. profile, something she couldn’t help with. again, softly and smoothly this time. “Would you mind staying?” he suddenly asked. laid herself down, throwing off her shoes. read the magazine a previous guest had left. Around two she finally fell asleep. relationship with their professional careers. doing exactly that over the past 9 years. be liars if they denied that. his work, only to finish up around four. and embraced him in her sleep. thing he would spot in the morning. to throw away with a single wrong movement. between them, and they both lived up to them. Mulder washed up and brushed his teeth. the FBI and police working together. statements he didn’t really want to. Before long, Skinner stood before his door. take a quick breakfast and be on their way. that the computer spit out the night before. “They had an affair?” Scully asked. distributed to all law enforcement agencies. to shout his or her question. simply excused himself and walked past them. “Why did you challenge him?” Scully asked. know how he’s doing it. had but one opponent: The Profiler. wondered where his usual smart remarks were. drift away from the traffic for a second. to get the system to unlock this morning. Chryslers stood next to one another. any press waiting for them there either. see you last night at the Wells’ crime scene. before she hadn’t asked Mulder about Jack. pockets like Skinner always used to do. “I had another vision last night,” he said. so experienced with this paranormal stuff. “You’re learning quickly,” Mulder responded. “Of course,” Jack answered, tiredly. all the law enforcement agencies in town. at the correct amount of men she’d had. guest lists of all the benefits as well. had taken Susannah as a guest. he was able to concentrate on his work again. had been a product of The Big Apple. lot. The cars were covered in snow. the Chrysler that was parked near the exit. picture of a ring he had specially designed. diamond. She wanted a unique design for it. Scully said, hoping she was wrong. “She’s his sister, isn’t she?” Mulder said. first killed the brother? What proof is that? was no new attempt. There was no new bombing. there. He had heard through his office. wanted to punish the man that was after him. He wanted to stop him. he knew he was going to kill him. And he had found just the way. The two agents had a light meal together. Again it was too late to eat properly. together at first, both too tired to do much. “What is it?” Mulder asked. him. And I promised you that vacation. Okay? don’t care where we’re going,” she smiled. on hers and she opened her mouth eagerly. door behind him and took a shower. break soon. The killer would slip up. a run would do him good. Mulder’s eyes for a second. was out for a jog. living together one day. Then she blushed. perfectly well the way it was. Jack would be arriving around eight. bench, as he made his run through the park. on his thighs as he forced his body to relax. legs were sore from exhaustion. touch was gone and the man walked forward. walking again towards the exit. what his friend was really trying to say. the other guests and walked to the elevators. Jack had difficulty following now. deep, and I don’t want that on my conscience. “What’s that supposed to mean?” Jack asked. tried to ignore most of his life. Mulder leaned tiredly against the glass. he said as the doors closed behind him. that she was waiting downstairs. sighed as his fingers touched his temples. other things to concentrate on right now. “Good,” Skinner said. “We’re progressing. an underground parking lot?” he asked. “I guess so,” the manager said surprised. entries and vehicles registration numbers. frozen and it wasn’t from any of the guests. the car, putting the key in the ignition. her. It was too late to warn the bellboy. actually hear the click as the device armed. fire, and then all went black.